Our 2018-19 map of the NHS presents a top-level visual representation of the NHS and, combined with our unique healthcare intelligence, provides the perfect tool to comprehend the health sector at a national, regional and local level. 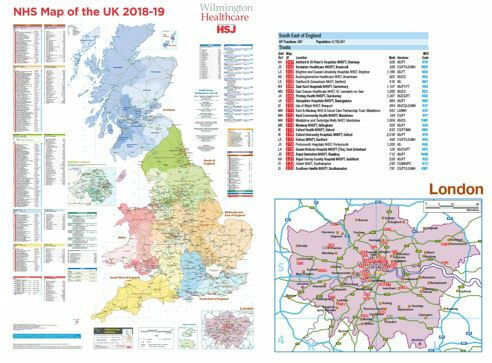 Whether you need to map your sales territories, visualise the ever-changing boundaries of NHS organisations or understand the health services provided in a region, our NHS Map of the UK provides the solution. It comes in B1 size for maximum visual effect, and it’s gloss-coated for write-on/wipe-off purposes, making it the ideal tool for reference, plotting and planning. Available as a printed copy or PDF.